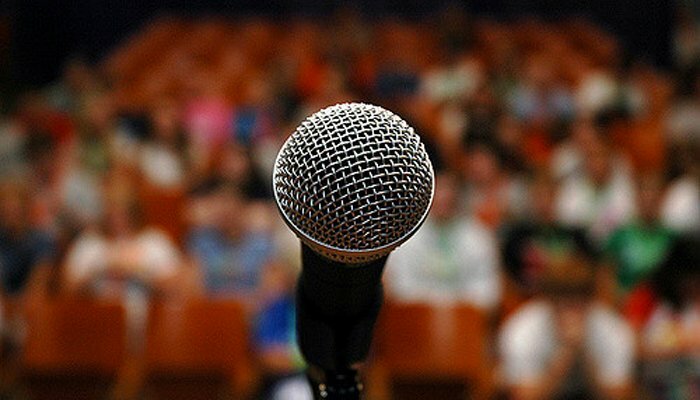 Even if you deliver the most powerful speech of your career, it’s meaningless if it doesn’t encourage anyone in the audience to take action. What better way for prospects to get a sense of your knowledge, your command of a crowd, your passion for the work, and your credibility, than for them to see you in action, especially if it is in front of your peers? Never ignore any acquaintance who has made the effort to come to one of your events. If a prospect attends, make sure to go up to them afterwards, thank them for taking the time to come, and perhaps ask them to get coffee later in the day. Even if they don’t attend, inviting prospects certainly doesn’t hurt and keeps your name fresh in their minds. While you have everyone’s attention, ensure that you give them a reason to contact you. This can be as simple as “if you want further info, check out my article on mysite.com”, but it is far more effective if you have an action plan that addresses a problem that they have come to you to solve. For example, say you’re doing a speech on “Pinterest Analytics”. It’s important to understand why people would have come to your presentation. In this case it’s pretty evident: most likely, they want to cultivate a more profitable or more engaging presence on Pinterest. For this, at your conclusion, make a series of the most important actionable points that a user can take such as “sign up for Pinterest for Business, create a board specifically for your products”, etc. But be sure to also include “download a copy of my free eBook about making a profitable Pinterest”, or “buy a copy of my Pinterest coaching service for more step-by-step setup and maintenance directions”. This way you’ll capture emails to stay connected to attendees, who could become potential clients. Even if they are something incredibly small, freebies give people something to remember you by and something around which to plan action. This could be a free copy of your book that you give away to three lucky question-answerers, or it could be a sign up for a free 15-min consultation. Whatever it is, make the cost minimal to you, but make it valuable to conference attendees. No one really wants to buy your signed headshots, and no one is going to approach you if they think you are going to try to sell them something the whole time. Make it genuine, and make people relish the value you’ve given them in a way that keeps them coming back for more. Blogs are great for marketing your gigs, and great for conferences to direct your future audiences to when they want a little taste of what you are about. If you don’t have a blog, at least have a website with mentions of your expertise and a few bullet points detailing your background and story. Blogs are often how people get discovered within a specific niche. Having a blog and keeping up to date with it is a great way to constantly be relevant. If you’re always looking for content to post on your blog, you’re going to have to keep up with the latest trends and news in your niche. A lot of speaking gigs won’t book you unless they’ve seen you present in some other place. Sometimes this can be as simple as seeing you speak online. If you can get a good deal on hiring a professional videographer, go for it. It’s also acceptable to get a friend to take a video on their smartphone if you have a smaller budget. No matter how you do it, make sure it goes up on your website and all your social channels. Don’t feel like you have to create completely new content for every presentation. It’s perfectly okay to repurpose your blog content, previously published case studies, or even presentations that you had already organized for another event that you rework slightly. You do need to make sure it isn’t exactly same, especially if it has been a while since you have done a speaking gig, because it has probably become outdated, or at least a little stale. People come to hear you speak because they assume that you have the most up-to-date knowledge that can help them in their own lives. Ultimately, the success of your speaking gig will rely on your own confidence and your own performance. However, these tips can help make sure your talk resonates on a level that translates into action after the talk itself. Let your speech be pivotal in the build of your personal brand, and add value and authority to your public figure. For more great public speaking tips, check out my interview with Michael Port on the Optimized Geek podcast.